Animal rights activists break into abattoirs to protest against meat industry. Canberra: Animal rights activists in Australia broke into abattoirs and chained themselves up to protest against the meat industry on Monday. Over 100 protesters also blocked one of Melbourne’s main intersections, before many were removed and arrested. 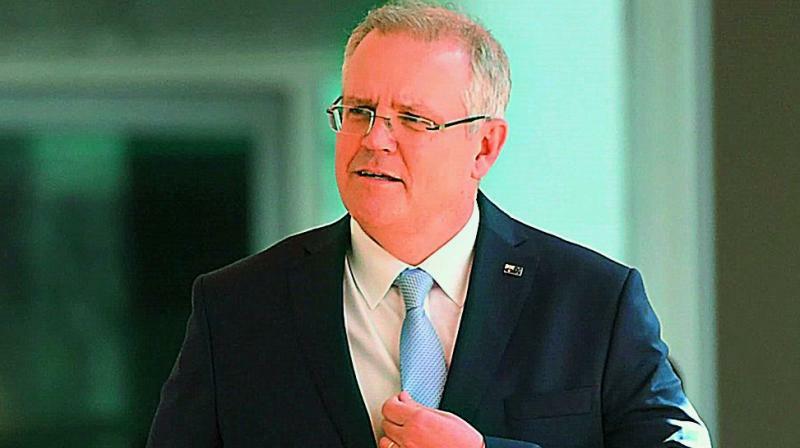 Australian Prime Minister Scott Morrison said the activism was damaging to farmers’ livelihoods. He criticised the activists as ‘shameful and un-Australian’ and said, “this is just another form of activism that I think runs against the national interest. Farmers should be able to farm their own land,” he told radio station 2GB. He later called on state authorities to bring “the full force of the law... against these green-collared criminals.” Australia is second only to the US for meat consumption per person, according to the World Economic Forum. The nation’s livestock industry accounts for more than 40 percent of its agricultural output. The protests took place in Victoria, New South Wales and Queensland and aimed to raise publicity about animal treatment and the ethics of eating meat. “We want people to go vegan - we want people to stop supporting animal abuse,” one campaigner, Kristin Leigh, told the Australian Broadcasting Corporation. “Animals are suffering in ways that most of us could never imagine. It is not about bigger cages - it is about animal liberation,” he said. Police said 38 protesters were arrested in Melbourne. A further nine were arrested at an abattoir in Goulburn, 168km south of Sydney, after they chained themselves to machinery. The Australian Meat Industry Council said butcher shops had been under a sustained ‘attack’ by campaigners. “This has to stop and stop now. We need to look at the 99 percent of people in Australia that are looking to and wanting to consume red meat products," said chief executive Patrick Hutchinson.